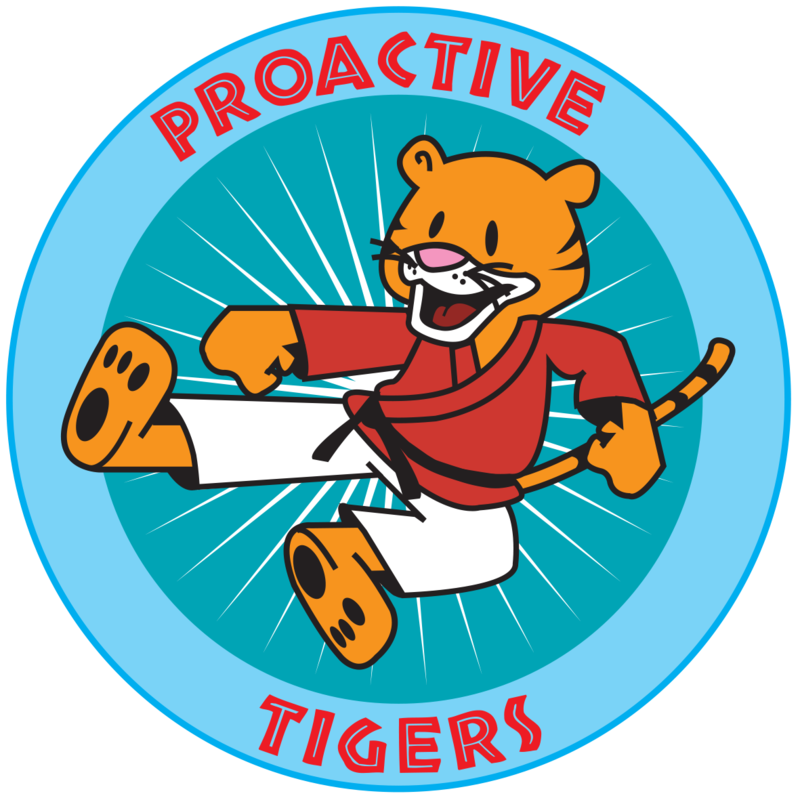 Proactive Tigers is a martial arts class for 4 – 7 year olds. The programme incorporates martial art techniques, games and activities to engage your child and develop positive life skills. This programme has been created especially for kids and is designed to help each child grow and equip them with skills that will help them in school, around the house, with friends and in situations where they may have to stand up for themselves. At Proactive Tigers your child will learn martial arts based activities in a fun, active and safe environment. We cater to each child’s individual abilities using skill based games, listening techniques and incentive rewards. We believe in success for every child. Every child can excel in this program, which is important as it develops confidence and self esteem through an earned sense of accomplishment.